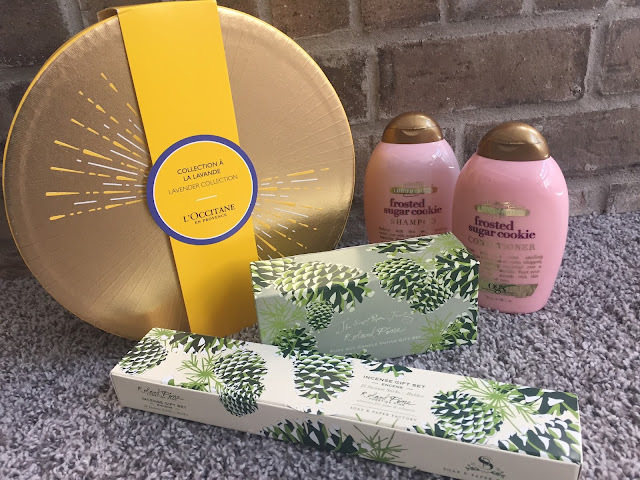 Transform your bath and home for the holidays with these gorgeous Gift Sets and Limited Edition items! The Holiday Gift sets and Limited Edition items are already in the stores and online. Let me tell ya'll, it is a really great selection this year. Every year I look forward to doing my Holiday Shopping Gift Guide series. Seriously, I plan this series out way in advance and literally have so much fun testing out all of the various gift sets and items and seeing which are may faves...those are the ones I share with you! 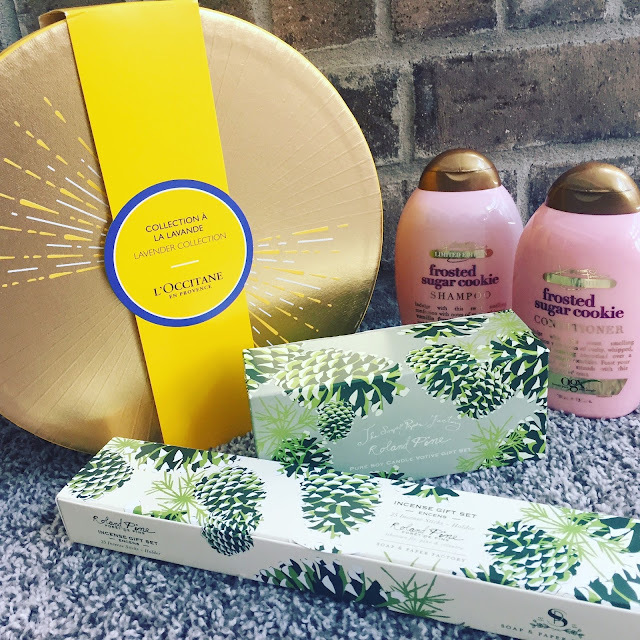 It is so fun to see what my favorite brands are putting out for the Holidays. It is a great time to not only buy gifts for your family and friends, but also a great time to stock up on items that you already love or have always wanted to try yourself. The deals and special value sets are just too good to pass up! So, are you ready? Lets dive right in and talk about these awesome items from L'Occitane, OGX, and Soap & Paper Factory! Click "read more" below. Oooohhh! Lavender...I used to think I wasn't a fan of lavender...until I got into essential oils and discovered the benefits of this amazing flower. Ever since then, I have been hooked on Lavender as a key ingredient in my bath and body products (as well as diffusing it for sleep next to my bed). Let me tell ya'll L'Occitane does Lavender right. The collection smells heavenly!!! Sourced directly from farmers’ cooperatives in Haute-Provence, L’OCCITANE’s certified P.D.O lavender scent offers much-needed moments of calmness and tranquility. Give the gift of relaxation with this collection of Lavender Foaming Bath (16.9 fl oz. ), Perfumed Sachet (1.2 oz. ), Hand Cream (0.3 oz. ), Hand Wash (10.1 fl oz. ), Body Milk (2.5 fl oz. ), and Bonne Mere Lavender Bar Soap (3.5 oz.). 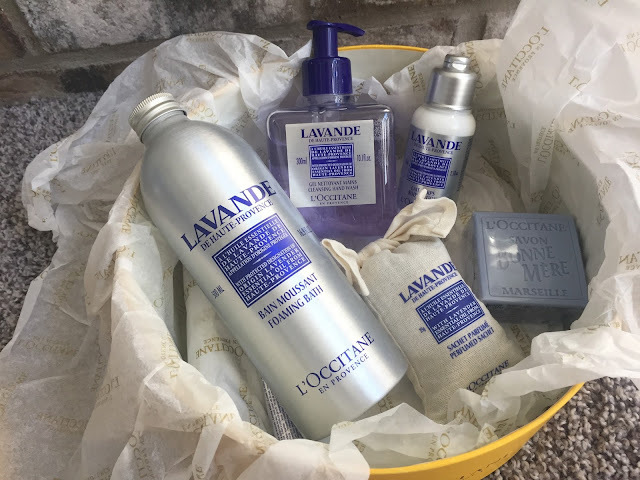 You are going to want to dive right into a nice and soothing bath with these beautiful Lavender Collection products from L'Occitane. 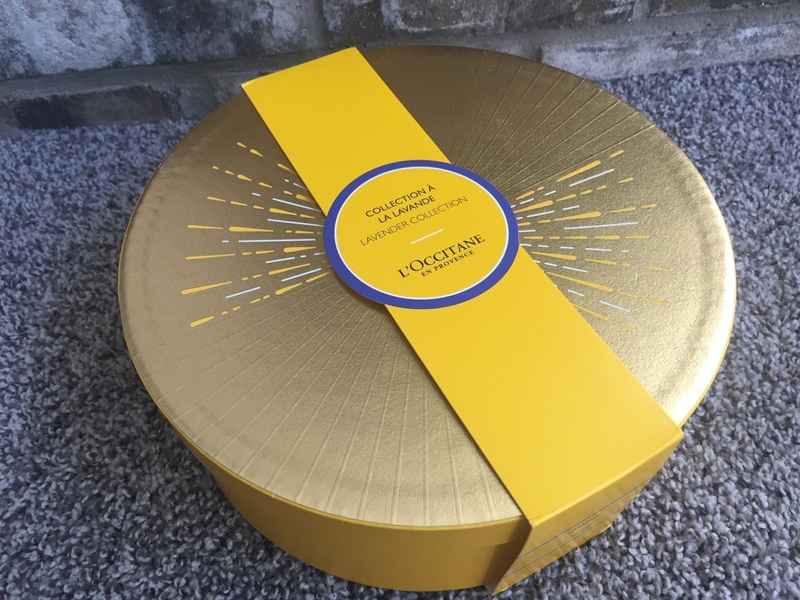 It really makes a beautiful gift with the round decorative box. 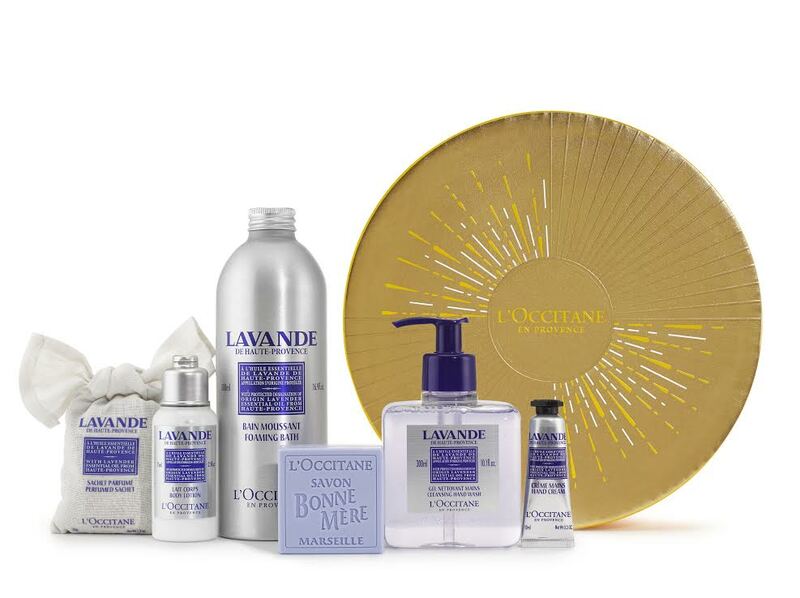 Be sure to check out the L'Occitane store near you or online as this gift is just one of the many Holiday Gift Sets that L'Occitane offers. With a heap of sugar, sprinkle of cinnamon, dash of spice and a touch of Kandee, OGX presents the new special holiday hair care collection in collaboration with social media’s sweetheart, Kandee Johnson. 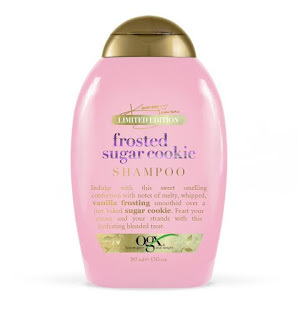 OGX Beauty, known for its exotic and intoxicating hair care scents, has teamed up with Kandee to launch a sugar-and-spice inspired line of three shampoo and conditioner duos to spread sweet holiday cheer everywhere! Indulge in your favorite holiday dessert without any guilt! 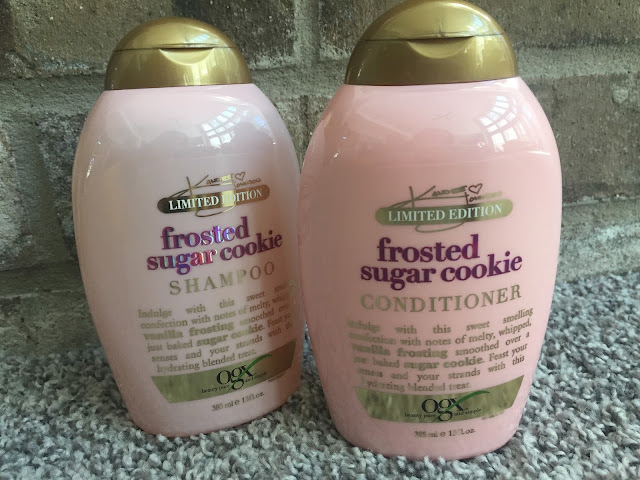 The Frosted Sugar Cookie Shampoo and Conditioner duo will bring back sweet holiday memories of baking and decorating holiday cookies. Featuring notes of whipped vanilla frosting and freshly-baked, warm sugar cookies, pamper your senses and strands with this luxurious hydrating blend. This Shampoo and Conditioner works well with my dry/damaged/highlighted hair type. Plus, the scent...so yummy in the shower! Besides Frosted Sugar Cookie, the other scents available are Sparkling Cider and Candy Gumdrop. I would love to try these as well! The OGX Beauty x Kandee Johnson Limited-Edition Holiday Collection will be available at Ulta, Walmart, and Walgreens. Retails for $7.99 each. 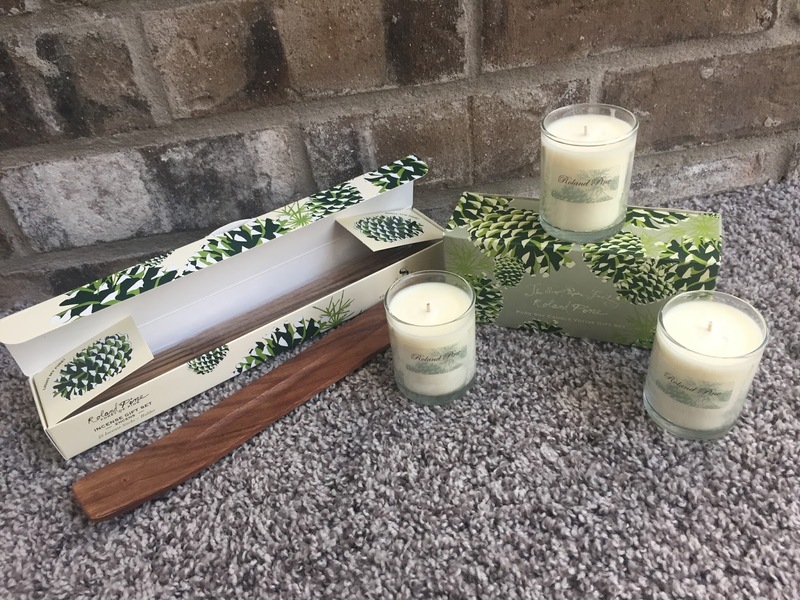 Soap & Paper Factory’s Roland Pine Collection offers an assortment of beautiful gifts that are perfect for a hostess gift, or a gift to your own home. The packaging is super festive with the pine cones and the green pine. Roland Pine is a festive and woodsy scent that captures the magic of the season. Literally, one sniff and you are instantly thinking Christmas! 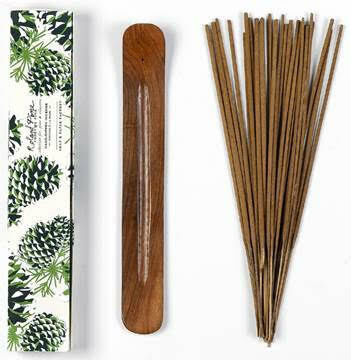 Welcome the fragrance of a Siberian Fir forest right into your home with the Roland Pine Collection. 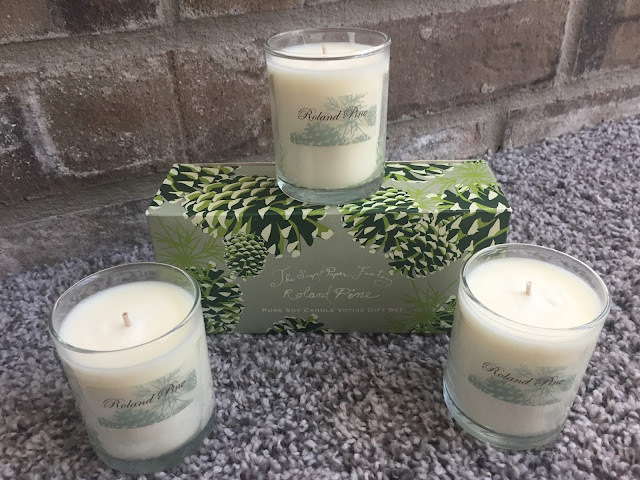 Clean and crisp, the bestselling Roland Pine scent features a fresh blend of Siberian Fir, Pine, and Cedar wood to instantly conjure up memories of winters spent laughing around a crackling fire. Beautiful notes of Siberian Fir, cilantro and citrus uplift the spirit, while filling your room with the fresh cut scent of pine boughs. Retails for $22 for the set. Made from pure soy wax, these clean-burning candles bring a pleasant ambiance to every room. Retails for $24 for the set of 3 candles. 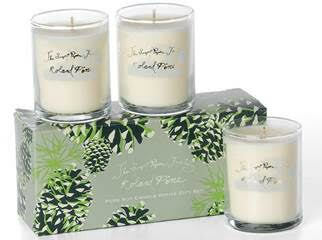 You can purchase these Roland Pine items at the Soap & Paper Factory website. There are more items available in the collection including 3-wick candles, reed diffusers, and more! So, are you inspired now for some major Holiday Shopping? Hopefully I was able to give you a few ideas at a varitey of price points.